Have you identified Hashimoto's thyroiditis in children? Often regarded as a disorder affecting only grown adult women, the diagnosis is rarely put up for consideration when it comes to kids. So, what do we look for? What are the classic signs in children? 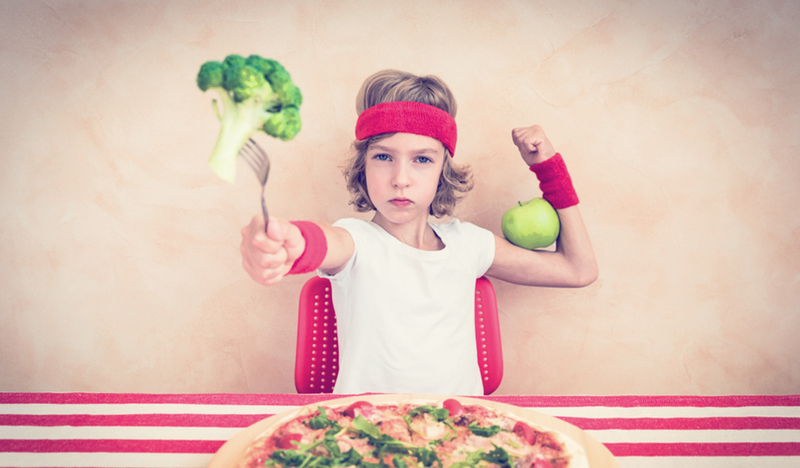 What are the key dietary and lifestyle interventions that can make a difference to these kids? Today's guest is an expert in Hashimoto's, who lives and breathes it on both a professional and personal level, on a daily basis. 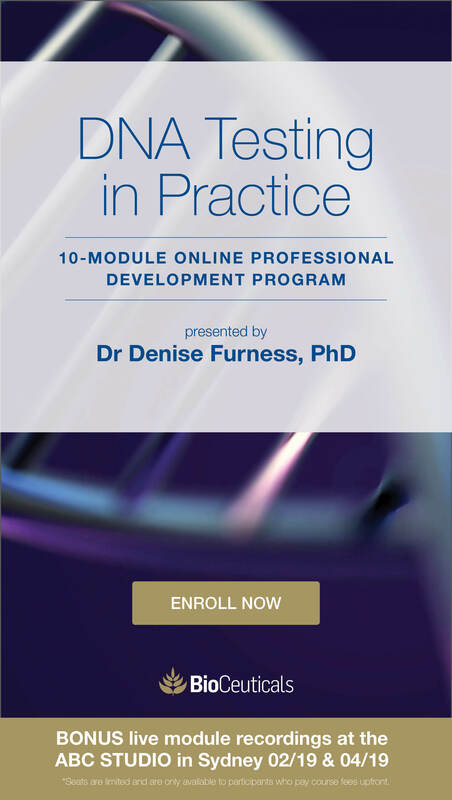 Cindy Kennedy is a nutritional medicine practitioner and author of the book; Help! My Child Has Hashimoto's. 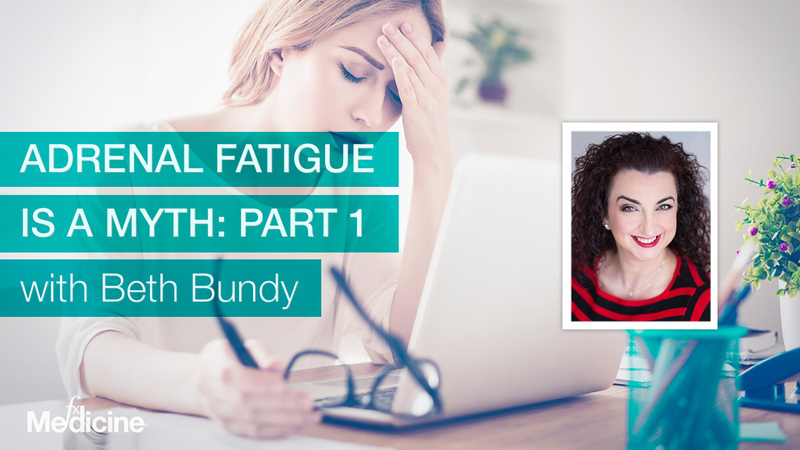 Today Cindy shares her journey to discovering this diagnosis with her own children and what strategies she's used to recover their health and wellbeing. [14:40] When do you suspect Hashimoto's in kids? Andrew: This is FX Medicine, I'm Andrew Whitfield-Cook. 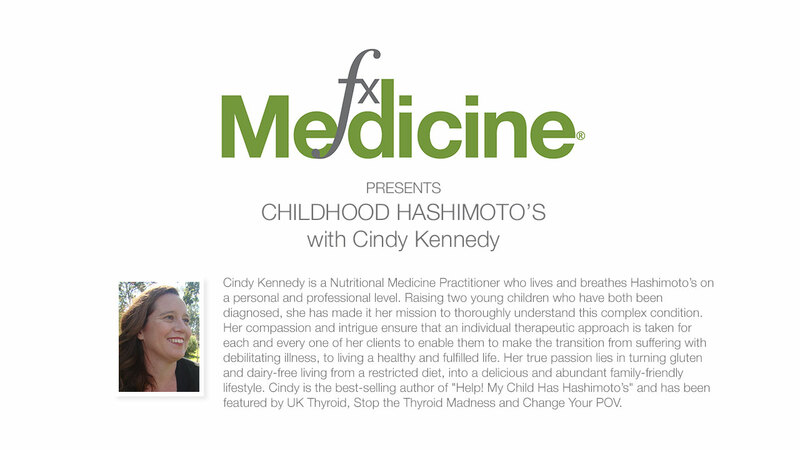 Joining me on the line today is Cindy Kennedy, who is a nutritional medicine practitioner who lives and breathes Hashimoto's on both a personal and professional level. 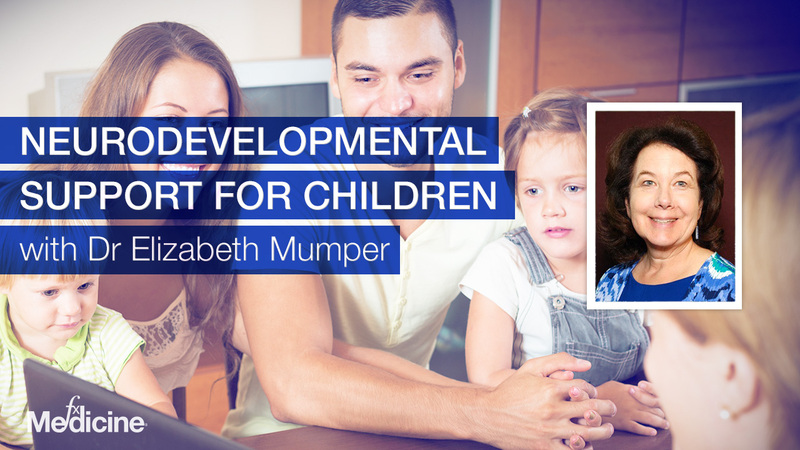 Raising two young children who have both been diagnosed, she has made it her mission to thoroughly investigate this complex condition. Her compassion and intrigue ensure that an individual therapeutic approach is taken for each and every one of her clients to enable them to make the transition from suffering with debilitating illness, to living a healthy and fulfilled life. Her true passion lies in turning gluten and dairy-free living from a restricted diet into a delicious and abundant family-friendly lifestyle. Cindy is the best-selling author of Help! My Child Has Hashimoto's and has been featured by UK Thyroid, Stop the Thyroid Madness, and Change Your Point of View. Cindy, welcome so warmly to FX Medicine. How are you? Cindy: Good, thanks. Thanks for having me. Andrew: It is our pleasure. And I've got to say, you talk about a complex condition, that it is. But one of the things is, I mean, I’m mindful of adults having Hashimoto's. I know it must occur. But I've never even contemplated kids having Hashimoto's. Cindy: That's part of the problem, I think. 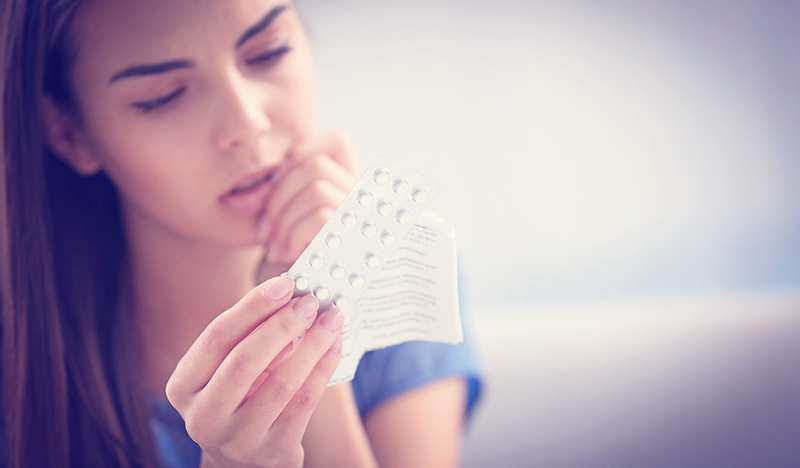 Is that it's really thought of as an adult's disease, and particularly women. But yeah, there's quite a few men out there, but a lot of children. And I think that there are actually a lot more out there with it, but they're going undiagnosed because people aren't thinking to check for it. Andrew: Yeah. So, I guess to start, can you take us through a little bit of your history and how you became a nutritional medicine practitioner in the first place? Cindy: Okay. So, years ago, I was in the Navy, back in the early days. Cindy: And I suffered a really bad shoulder injury the week after I got back from East Timor. And so, that left me unable to work for 15 years. So, that's when I really got into natural medicine and taking care of myself. So I got off all the medications, and that's when I started studying. And my eyes just opened. I couldn't believe that there was this whole other world out there beyond prescription pharmaceuticals. And I've always really been passionate about food, and I was just absolutely blown away by the power that food has over our health and our lives, and how life-changing a few simple tweaks in what you eat can make. I grew up overseas. My father worked for Foreign Affairs. And so, I was surrounded by Chinese medicine growing up, but without even being aware of it. Cindy: I never used it. I never had any kind of interaction with it at all. I didn’t even knew what a naturopath was until I met my sister-in-law. So I was just completely...it wasn't even that I was disdainful of it, I was just oblivious to it. I didn't even realise that it existed. Andrew: So take us through, then, what happened with your children. With, you know, pregnancy, even, indeed, leading up to pregnancy. And from...or, to the point where your children were both diagnosed. Cindy: Yep. So, I was really fit and healthy when I was younger. But I guess, interestingly enough, it was my time in the Navy. And I think this may have influenced my girls' health. Because I was a radio operator. So, I was exposed to a lot of radiation. And the radiation is so strong that they won't allow pregnant women to even step on a ship, and if they are pregnant, they're not allowed in the radio rooms on the shore bases. Cindy: Yeah! So, I spent...yeah. So, it's pretty full-on, but you don't really think about it at the time. So, I spent five years in this environment. And my husband, he was also in the Navy when we met, so he spent a lot of time at sea. And interestingly enough, my parents are also ex-Navy, and they are also communicators. So, there's sort of the two generations of radiation exposure there prior to pregnancy. And I never really thought about it, but I think it does actually have quite a significant impact on you. Because I'd always been a fairly strong, healthy person, and then in those five years that I was in the Navy, I had five breast lumps removed, and I also had a CIN 3, which is, you know, one of the final stages before cervical cancer. And yet, there is no family history at all of any kind of reproductive cancers, or disorders, or anything in my family at all. So this was something completely out of the blue. And then a few years later, when...after I'd hurt my shoulder and they were doing an MRI, they actually found a bone tumor as well that they said had been there for quite a while. So, I was having all these things growing while I was being exposed to this radiation, and yet, once I left the Navy, all of a sudden they stopped, and I never had any more. So, I think that's really interesting. Especially, yeah, when you look at thyroid disease. Because you look, for example, at the disaster in Chernobyl, and they had so many outbreaks of thyroid cancer after that, and so many generations of people being born after that were having thyroid issues. So, I certainly think that that plays a part in our story. Andrew: When would thyroid cancer present, which is, you know, the big fear with, you know, low-dose, long-term radiation exposure, versus an aberrant thyroid function like Hashimoto's? Is it that's the, sort of, partially saving grace of reasonably good nutrition? Or, when...you know, how do you grade it? 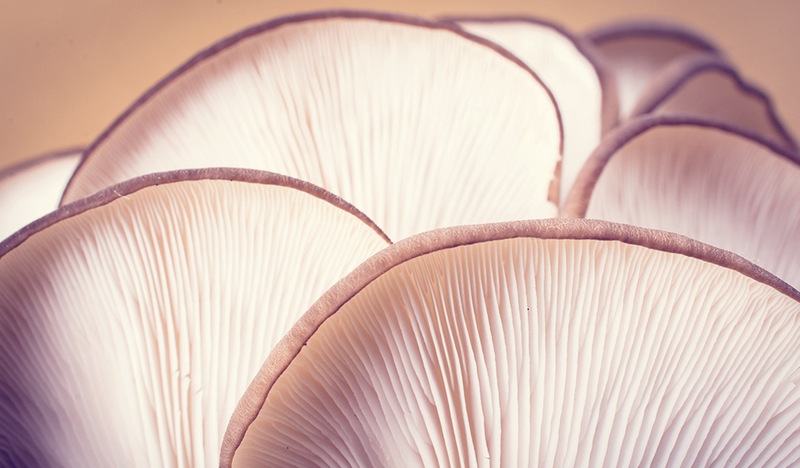 When do you start worrying about cancer, and when do you worry about Hashimoto's? Cindy: Radiation, all that sort of thing, is just everywhere. So, perhaps that's one of the reasons that the rates of Hashimoto's, and cancers in general, are rising, as quickly as what they are. And why we're seeing them in such younger people now. Andrew: You know, my previous knowledge...and I've got to say, I've been woken up about this recently with speaking with Izabella Wentz. I thought stress was the major culprit. I mean, the major culprit. And that, you know, if you addressed stress, you basically had it in hand. Not so. Cindy: No. Well, I mean, stress..
Andrew: There's much more at play here. Cindy: Yeah, well, stress is many things, too. I mean, there's not just stress from work and feeling frazzled. There's physical stress. There's emotional stress. You know, you've got illness, and trauma, and that sort of thing as well. And, like, when you look at what, I mean, triggers your Hashimoto's...because we know that it's not genetic per se, but it is certainly familial, and you need to have that sort of environmental trigger to kick it off. Andrew: Yeah. Yeah, well said. Cindy: And you look back at what the triggers are for people, and it's always some sort of stress, you know? But, as I've said, there's many different types. So it could be a car accident, it could be the death of a loved one, it could have been a major surgery or a major illness, or it could indeed just be, you know, long-term stress from a really crappy job. So, yeah, I think that the stress is certainly a big part of it, but it's how you define stress. It's not just that feeling frazzled. Andrew: Yeah. Did the etiological factors of Hashimoto's differ very much medically compared to when you started investigating it and what you found out? Cindy: Don't know so much that it's really particularly changed, but I do think it's important to look back. Like, case history, as with anything, is so important because you do need to address that. I mean, if it is a psychological stress, that's probably one of the more easily identified and not necessarily easiest to deal with, but at least you know what you're dealing with. Whereas sometimes, if it's an illness, you can't go back, obviously, and, you know, stop that illness from occurring. So, definitely something there to look at. I know in the case of our youngest daughter, who was the first one to be diagnosed with Hashimoto's, she'd been very sick. Probably about...oh, it would have been two or three years prior to her diagnosis, she had pneumonia and a really serious blood infection. And the interesting thing is, she was never right after that. Like, she just changed with that one week she had in hospital. She was a different child when she came out. And, like, my husband and I often talk about it, and we think that's when it all began. And yeah, it probably took about two years after that before she was diagnosed, but in that two years, she'd stopped growing. Her behaviour had completely changed. She wasn't doing as well academically. She was struggling socially. It was just...yeah, it was incredible, the difference. Andrew: Take us through those changes on a deeper level. When you say, you know, she wasn't adjusting socially and things like that, what sort of symptoms did you see? Did you see a withdrawal, or was it moodiness? Andrew: You know, we think about the fluctuation of the thyroid with Hashimoto's, but how does it all present? Cindy: Yeah. Well, moodiness is such a nice way to put it. It really is. But it doesn't even come close, to be honest. Cindy: Yeah, well, before she got sick, she was just like, you know, any other young kid. She was really happy and outgoing, very energetic. Like, ridiculously energetic. And then after she got sick, it all changed. She became very sullen. Her energy just disappeared altogether. She was sleeping all the time. She became quite aggressive and very violent, particularly with her sister. Cindy: So that, then, caused, obviously, a lot of problems as well. So, yeah. And then that, obviously, impacted her ability to form friendships. It got to the point where we'd be going to a friend's place for lunch, and we'd have to ring and say, "Well, we can't come because she's having a bad day," which was our nice way of saying, "This is child is just not socially acceptable at the moment, so we'll just stay home." But yeah, it was horrific for a few years there. Like, we had to take the doors off her bedroom because we were worried she was going to break them because she'd slam them so hard. She'd throw things around the room. And at this stage, she was only six or seven years old. So we're not talking about, you know, a teenager going through their hormonal years. This was just a really little child having these violent, violent outbursts and meltdowns. Like, I know I've got quite a few people I work with who have kids on the autism spectrum. And very similar, very similar behavioural patterns to that. Like, the big meltdowns. Like, it's not a tantrum, it's just another whole level beyond that. And interestingly enough, this is a really common feature that we see in kids with Hashimoto's. They have these really violent and aggressive meltdowns that can last an hour, two hours, three hours. Cindy: And even at such young ages, they can just completely trash a room. They can, yeah, hurt their siblings, hurt themselves. Just, yeah, it can be really full-on. Andrew: Right. And that's got more to do with the metabolism, the long sleeves, long pants? Or maybe body image? Or what? Cindy: I don't...no. No, I don't think it's a body image thing. I think it's a discomfort thing. Yeah, it's really interesting. Like, I've seen so many parallels, yeah, between what the kids… how they express with the Hashimoto's compared to kids who are on the spectrum. There are just so many similarities. But when you look at it, gluten and dairy, as a, you know, sort of, the big devil in the room for both of them. So it does make me wonder if, perhaps, that's what's driving it. Because I do know, with my daughter particularly, once we took her off the gluten and dairy, the violent behaviour stopped. Cindy: Like, within a week. Within a week. It was incredible. Cindy: Yeah. And then we had to put her back on to gluten for four months because they wanted to do a biopsy for coeliac, and within, like, two days, it all came back. Cindy: Within two days. It was incredible. And that was, like, the longest four months of our lives. Andrew: I'll bet. You're a practitioner. You're trained in what to look for and to be observant of certain things. Andrew: I'm wondering about if one is the practitioner and somebody comes to them... A mother and their daughter let's say. It is going to be, probably, more prevalent in females, as it is in adults. Female children, as it is in adults. But let's say a mother and daughter show up. The mother is not a practitioner. The mother sees what the child is going through at home. How do you, then, get an insight as to what they're seeing, to tease apart whether it is just...you know, whether it is poor parenting. Whether it is just a tantrum. Whether it is sibling rivalry. How do you then know, to look for Hashimoto's? Cindy: Well, I guess, I mean, a lot of the symptoms that you see in kids are the same as what you see in adults. So you get...the constipation is a really big one. I mean, constipation is quite prevalent in kids anyway, but that's always a big red flag for me. Because constipation shouldn't be long-term. You know, like, kids sometimes, they don't go to the toilet for a couple days every now and then. But if it's a chronic thing that goes for weeks or months, there's definitely something driving that. That's probably a really big one. Definitely the behavioural issues. If they lose weight, as well as putting on weight. So, changes in their weight is a really, really big one. So, I see a lot of kids that are underweight despite what they eat, as well as the overweight. Which is really interesting, because we tend to think of hypothyroid as always being with excess weight. Cindy: But yet, in kids, you often see they're underweight. And they stop growing, too. So, that's another really big red flag, is if they stop growing. Andrew: Okay. So, still, though, there's a myriad of conditions which you could also suspect. You know, like, for instance, you mentioned to me previously that you were living on tank water. And within the Northern Rivers area, I'll bet 90% of practitioners would think, "Parasite, blasto." Andrew: You know, so how...what leads a practitioner to say, "Hang on, something else is going on here, and it's to do with their metabolism rather than..." You know, some...what do you call it? You know, a condition like coeliac disease, or whether it be an invasive organism or something like that. Andrew: What's the deciding thing that you really look for? Cindy: Oh, I guess that it comes down to case history, I think, really. Case-taking and family history. I mean, generally, you will see that there will be the...other family members will have it. So it might be their mum, or their aunt, or their grandma, someone like that. Cindy: Although, in our case, Madeleine was the first person in our family that we know of, on either my side or my husband's side. Cindy: We don't know of anyone else who's had it. Cindy: Which was really interesting. And then, yeah, 12 months later, my other daughter was diagnosed. And then I said to my husband, "Well, you know, we should probably go and get checked if both our kids have it." And lo and behold, he had it too. Andrew: Ah-ha. And didn't know about it? Cindy: No, didn't know about it. So it made a lot of sense, once he got the diagnosis. It explained a lot of things. And again, it comes down to that thing, I think, where we think of it being a disease of middle-aged women. So, we tend to not think of it as a possibility for men or for children, but it's certainly out there. Cindy: I don't think there's...I don't think they had any self-blame at all, really, with it. When Madeleine was diagnosed, because it was new to our family, it was just, sort of, the beginning of this whole big journey, and they didn't really understand what the repercussions of it were. When Jess was diagnosed, you know, she was quite devastated. But we've been really fortunate with her in that we caught it a lot earlier. Cindy: We're really fortunate. Yeah, really fortunate with her. But I think, with Madeleine, that it was just too far gone by that stage. Like, she hadn't grown in six months, and she'd been sick for such a long time before it got picked up that I think that the damage was already, sort of, beyond that point of no return. Andrew: Yeah. And so, I've got to ask you what went through your mind. Cindy: Oh, my gosh. Yeah, well, because I suppose the first time when Madeleine was diagnosed, it was all new. So I guess I didn't really know what lay ahead, but at the same time, I was really pleased that we finally had a diagnosis because then we could figure out what to do. Because once you know what you're dealing with, you can deal with it. Cindy: But when you don't know what's going on, then you can't move forward because you don't know what needs to be done. So I was really relieved when we got her diagnosis because I thought, "Okay, that's fine, now we know what it is. Now we can deal with it. Now we can make her better." But with Jess, it was just a case of, "Oh, no, does that mean that, you know, we're going to go through all of this again? Does it mean she's going to deteriorate the way that Madeleine did?" Yeah, it was quite a different experience there. But fortunately, we haven't gone through all that with her. Andrew: Okay. But how did you look after yourself? Because you're the mother, the carer of the family, let's face it. You know, mothers really are. They do give more than their share in relationships, particularly to the family. They give up so much. Andrew: How did you cope? Cindy: Just one day at a time, I think, really. You just do what you have to do. So, it's not an option. It's not a case of, "Oh, well, maybe I'll do this or maybe I won't." It's just, "Well, this is what needs to be done," so you just do it. And I think I was fortunate in having that sort of medical background, that I was able to go and research. And that made me feel like I was doing something. And I think that prevented that feeling of helplessness and powerlessness that you often get with a diagnosis, particularly of one of your children. Cindy: So, I think that's probably what helped get me through it. But oh, yeah, there are days when I just think, "Oh, I can't do this anymore. This is just too hard." But you have to, kind of, put that to the side and just keep going. Andrew: Given that this is, you know, the first diagnosis in your family, what was the journey that you had in the medical model, if you like? Cindy: Oh, we've had a few. Some have been better than others. So, when we got the initial diagnosis, the paediatrician was quite in disbelief herself because she'd never seen it before in a child. Cindy: So we're really lucky, actually, that it even got picked up. It was just something she ordered along with a whole other battery of tests at the time. And so she didn't know what to do. So, she didn't even put Madeleine on the thyroxin. She said, "No, you'll have to wait to see the endocrinologist for that." So, it was about a two-month wait to see the endo, and by that stage, I'd taken her off the gluten, and the dairy, and the soy, and really made sure I was, you know, giving her optimal nutrition in what she was eating. And that endocrinologist was just a nightmare. She said, "Oh, the reason your child isn't growing and she's underweight is because you've taken all this food out of her diet, and she's now malnourished." I'm like, "Oh, she thinks she's malnourished because she's not eating bread and cheese," which is basically what it boiled down to. So, needless to say, we changed to another endocrinologist after that, which has been a lot better. Andrew: Now, that was an interesting thing that you said there. So, what was different about this other endocrinologist, and how did you find them? Cindy: Living in a rural area, you don't really have a choice of specialists that you see, particularly for paediatrics. But shortly after that, the paediatrician had also sent her off to see a cardiologist because she had the elevated cholesterol as well, which, again, is quite unusual in young children. And so, we had to go up to Brisbane for that one because there aren't any paediatric cardiologists in this area. And when we got up there and he looked at the full case, he said, "No, I think we need to have all of her specialists up here because there’s a few things going on." And so he organised us to see an endo up there at the Children's Hospital in Brisbane. Andrew: And were they more aware of what was, you know, presenting with Hashimoto's? Cindy: Yeah, I think so. The one who came primarily dealt with diabetes, so she was, I think, much more, sort of, in a diabetes mindset. But the one we see in Brisbane, he definitely, I think, is a bit more aware of the strange things that go on. So he's been a lot more helpful, yeah. Andrew: You've mentioned those two or three magic things that you took out of the diet, but what sort of changes did you make for the diet to include, perhaps? And indeed, what other...what did your investigation show that you could help them with certain nutritional therapies? Cindy: Well, I think, really, the basis of it is taking out the gluten and the dairy because of their...like, they lead to your intestinal high permeability, which then drives your immune systems, which then, obviously, is the driving factor behind autoimmune disease. And the soy because it's goitrogenic. And Madeleine's got a multinodular goiter, anyway, so we really didn't need that getting any bigger. So, taking those out was definitely a big part of it, and I think that has brought down the inflammation, and certainly the overactivity of her immune system. And she doesn't pick things up anywhere near as much as she used to. Like, she used to catch every single bug going around, and it would just completely wipe her out. But she's a lot more resilient now. So, I think that her immune system is definitely a lot more in balance now than what it was previously. Cindy: But you can't just take things out. Obviously, you have to put things back in as well. So, I'm really big on lots and lots of vegetables so you're getting all your micronutrients, and phytonutrients, and that sort of thing. We do eat meat, so lots of chicken stock or bone broth as well. I make a big batch of that every week, and I put extra gelatin in there, too. So, that's been really good as well to help, sort of, heal the gut and stop things getting through that shouldn't be. Andrew: White about mindfulness for kids? Like, do they grasp it? I've often been told that kids actually get it better than adults. Cindy: Yeah, it's not really something I've sat down and intentionally tried to teach her. You know, I have taken her through breathing exercises just to try and help her with her anger management, and frustrations, and that kind of thing. And she does have a fair amount of pain as well because she also has Ehlers-Danos Syndrome. Cindy: So, I try to help her use breathing to help her through the pain of that as well. But I haven't really gone into the whole mindfulness thing with my kids particularly, yeah. But I think they're fairly self-aware, though. Like, I've tried to teach her to be aware of her body and what it's telling her so she knows when she needs to rest or when it's okay to go out and run around. So I think...I suppose in that way, we've incorporated it. But it's not something that I've intentionally, sort of, set about to do with them. Andrew: Okay. What about certain supplements that you've found were, like, of great benefit? And others that you went, "Oh, man, this flipped the wrong way." You know, "I'm going too avoid that"? What things happened, in your instance? Cindy: Yeah. So, selenium and zinc, I think, are probably the two big absolute, just, you have to do it. And they've certainly helped. And I've put the lowering of both the girls' antibodies down to that. Other ones that I think have been really good are glutamine for the gut, healing the gut, and probiotics. Because again, autoimmune disease, you always have to target the gut for that. Well, they’re probably the main ones. Iodine, I think, it's, like, a contentious issue, that one. It's really a case-by-case issue. I haven't done the loading test on my girls because they're so young, I just, I don't feel that...I don't know that it's safe enough in kids that young, and especially given that she's got so many nodules on her goiter as well. Andrew: Yeah, yeah. I'd defer to Rachel Arthur with that one. Cindy: Yeah, yeah. So, that's...yeah, I haven't gone down that path with them at all, but I know a lot of other people swear by it. But I think that's the real case-by-case thing there. But at the same time, she also eats seaweed, so she's getting some in her diet anyway. Andrew: Yeah, this is obviously the foundation. So we need to be mindful of...particularly in Australia, particularly the eastern seaboard of Australia. Except for Queensland has an issue with mild to marginal deficiency of iodine. But obviously, if you give too much, you may flip. Andrew: You may cause issues with Hashimoto's. So, what about things like eggs? Cindy: Eggs? Oh, yeah. We eat, well, we've got our own chickens out here. Andrew: Oh, yeah. You've got the good ones. Cindy: Yeah. So, eggs nearly every morning for brekky, and they're lovely, fresh ones. So, that's good. But yeah, we're really big on a whole foods diet, very little processed food. And yeah, lots and lots of vegetables. So, yeah, it's really funny, actually. We had some friends come around a while ago, and their kids were served up their big plate of veggies, and they were pushing them off to the side. And I said to my girls, "What do I always say?" And they turned to these other kids and said, "You don't have to like it, you just have to eat it." Cindy: Yeah, they did. So, but yeah, I think getting lots of veggies into kids is really important, and I think that that's where a lot are really missing out these days, when you look at what kids in general are eating. Andrew: I know. It's so sad. I've got to say, my wife and I were talking about this just two weeks ago, just how proud we are about our dietary choices. And they are by no means perfect, you know? I do not live the pure life, you know? Cindy: No, I don't either. Andrew: But one of the things we did instill in our kids from a very early age was a love of veggies. You know, broccoli, carrots. I just love my brussel sprouts. I'm sorry, I just love 'em. Cindy: Oh, I do, too. Andrew: Yeah, but it was just this...I don't know why we don't have this issue, whereas other people quite close to us do have a real issue with vegetables. And it's such an issue in the community. I don't...in society, not community. Andrew: I don't understand it. Cindy: Yeah, it's an interesting one. I mean, I've got my own theories on all of this and how our diets have changed. I think a lot of it comes back to the fact that mums are working now. And I mean, really, women of my generation are probably the first ones that have come through where their mums had full-time jobs. Cindy: And because of that… because their mums, or our mums, were working, they weren't at home to teach us how to cook. And so now, when we've grown up and we're now cooking for our children, a lot of my peers just don't have those skills. They don't know how to cook. They don't know how to make vegetables presentable, or they don't know how to cook something that's not come out of a packet or been reheated in the microwave, just because they were never shown how to do that themselves. Andrew: …And we opened the door to an empty house because both of the parents worked. And so from there, as you say, the flow-on effect happened where convenience was the major driver of the evening meal, certainly. And very often the morning meal as well. Cindy: Yeah, and I think part of that, as well, is now people don't know what a good square meal is. They don't know what a healthy meal is. Which I think is really sad, you know? And that's what I say to a lot of people, you know? It doesn't have to be fancy, it just has to...just, meat and three veg is great, right? If you just have meat and three veg for dinners every night, you'll be miles ahead of 70% of the population. Andrew: So, I have to now delve into the major safety aspects that we've got to be aware of as practitioners. Andrew: So, what have your investigations showed, and what have you encountered yourself? Indeed, have you done anything wrong that you've gone, "Uh-oh, don't do that again"? What have you found out? Cindy: I always take a really cautious approach. I'm a real, sort of, "go slow and build up." So I haven't, sort of, had any major issues yet, touch wood. But I think, particularly with kids, you always have to go in really gently and always err on the side of caution. I do...before testing for things… before giving things like selenium, I do like to do an HTMA and just check where their levels are at. Because I don't want to obviously, go and give them selenium if their levels are already high. Which is not usually the case with Hashimoto's anyway, but that is one thing I do like to check. But yeah, always low-dose with the supplements with kids to start, and then if necessary, build them up. Build them up gradually. Andrew: So, HTMA is a hair tissue mineral analysis. Andrew: And so, how do you...or, what advice can you give to practitioners about the reading of those results? You know, when, like, a toxic mineral is high, it's usually high in the body. And if an essential mineral is high, it's usually that we're wasting it. What other aspects are there? What have you found? Cindy: I think it's really important to look at the ratios of your minerals as well. Like, your antagonistic ones, and just see, sort of, what the balance is there. Because sometimes you might find...say, for example, they're really low in zinc. I had a little girl last year with precocious puberty, and her zinc level was really, really low. And she was obviously showing all the usual deficiency symptoms. And we did the HTMA, and her copper was through the roof. So, it wasn't that she actually had low zinc, it was more she had the excess of copper. So I had to bring...we got the copper down, and then that brought the zinc back up again. Cindy: Yeah. And then that, obviously, then went on and affected all of the estrogen levels and helped to bring those down again. So, yeah, I think you've got to look...as well as looking at what the actual value is, you need to look at the ratio and how it's acting with all the others. Cindy: Yeah, my girls are 12 and 14. Andrew: Oh right, okay. So you're not quite there yet. Maybe getting into the...maybe starting now. But have you moderated your therapeutic approach with regards to Hashimoto's and/or, indeed, moodiness and, you know, behaviour issues, that sort of thing? Even social issues? And what about things like body image? Particularly, you know, you said that one...your eldest child, was it, who had a growth issue? Cindy: Yeah, that was my younger one. Yeah, her growth had completely stopped. But yeah, that's normalised now. She's still quite petite, but...I don't think she'll ever be really tall, but she certainly won't be...I don't think that her growth has been permanently stunted by it. Cindy: So, that's a relief. But yeah, that is a real difficult one because their reliance, I guess, for want of a better word, tends to change as they go through their growth spurts, the thyroid hormones, because they need the thyroid hormones to grow. So, when they go through the spurts, then they need more of it. So, you do need to keep an eye on it. But again, I think if you've really optimised their nutrition, then that gives their bodies a really big boost in helping to regulate that as well. And the same with moodiness and just general hormone fluctuations. I think that if, yeah, if they're eating really well, then their bodies have got the nutrients they need to make the hormones they need and to keep them in check and keep them in balance. And I think that has a huge effect on it as well. Cindy: And the same with, like, neurotransmitters and that kind of thing, too. So, that all plays in as well. Andrew: What about that rebellious age, or that rebellious time? And it's very common, particularly in kids. You know, you get diabetic kids, and they rebel, you know? Andrew: And then finally they'll get through it, and they'll get to a stage of ownership of their condition. Andrew: Have you had that issue happen, and what sort of things did you see present when they, you know, rebelled and spacked out on, maybe, some bad food at a party, or some gluten, or something like that? Cindy: Yeah, my youngest is really good with her food because she knows how sick it makes her if she eats it. We've since found out she's allergic to dairy, so she just won't touch any of it. Cindy: And she's pretty much at the point now where she doesn't really feel like she's missing out because she knows that there are some things that she can eat, but there are others that she can't. My other daughter is a bit older. She's...yeah, she feels like she's missing out if she can't have, you know, her chocolate biscuits, or a piece of cake, or something like that. So, we're not as strict with her, because she is older, so she's got to make her own decisions now. We can only, sort of, guide her, and educate her, and hope for the best. But at the same time too, her, her thyroid state is in a much better place than her sister's, so I guess we don't have to be quite as strict with her. But I mean, yeah, it gets to that point where you have to trust them and hope that they'll make the right decisions, and if they don't, then just be there to support them and help them through whatever the consequences are. Andrew: I've got to say, I take my hat off to you. You know, you've done... It's not two challenging issues you've had with your daughters, but your husband as well. And of course, so, I'm going to be...I'm going to do the typical thing that females always say. "You're looking after three kids." So...so, I'm sorry, mate. But have you found the treatment or the management of the Hashimoto's between the kids and your husband very different, or very similar? Cindy: Quite similar, really. And it's really interesting, actually, to see because, obviously, they're all different people, so they all do things differently. With my girls, I've obviously got a lot more control over what they have and what they eat because I'm their mum and I can tell them that they have to do things. Cindy: With my husband, it's just a case of, "Oh, honey, I think this would be a good idea." And whether he chooses to do that or not, of course, is up to him. But to his credit, he's made incredible changes to his lifestyle and his diet over the last two years, and that's made a huge impact. And actually, one really interesting thing. We were having a lot of trouble with his levels. We just could not get them to come down, and I couldn't figure it out. You know, he wasn't eating, really, when he was taking his thyroxin. He's really cut down his gluten. I mean, he still drinks beer, but he's not eating any bread, or biscuits, or anything at work anymore. He's cut his milk, like, his dairy down. He only has it in his coffee now. And I just, I couldn't figure it out. I had him on selenium and zinc, and fish oil, and all the good stuff. He drinks his cup of kombucha every morning. He was doing everything right, and just, we could not get his levels right. His TSH was still sitting at around 15. "What is going on?" And the doctors just kept upping his dose, upping his dose, upping his dose, and it was still sitting around 15. And then we figured out he was having his thyroxin and then having two cups of coffee with lots of milk in it. So we said, "All right, well, we'll try six weeks, you have to have at least...make sure you have at least half an hour between when you take your thyroxin and when you have your coffee." And I had them checked down to, I think, 0.4. Andrew: So, binding of milk? Cindy: From, yeah, binding in the milk. Cindy: Yeah. And because I thought, "You're not taking calcium with it. You're not taking..." Because I didn't have him on calcium or iron. Cindy: So, those are the really big ones that you make sure. So I thought, "It can't be any of these supplements, and he's not having them near his thyroxin anyway, and he's not eating breakfast within, you know, that, sort of, one-hour window, because he's not a big breakfast-eater." And I just...I couldn't figure out what it was. And then, yeah, it was his coffee. Andrew: Wow. So, the milk, the calcium from the milk in the coffee, was enough to bind to the thyroxin. Andrew: Which is a known...just for our listeners, it's a known interaction, that. Andrew: You know, thyroid patients will be directed on their medications to take it apart from their calcium supplements if they're at that age, yeah. Cindy: Yes. Or they should be. Andrew: Yes. They should be, yes. Cindy: But this is the interesting thing, see? In the last couple of years that he's been taking it, the doctors have never said to him that it needs to be taken away from food and why. And they didn't specifically say, "Away from the... you know, dairy and whatever.” And because I was thinking, sort of, practitioner hat, I was thinking, "Okay, calcium supplements, iron supplements, and food in general. Ah, no, that's all fine." But yeah, just the cups, just two or three cups of coffee with milk in them, and that was enough to do it. Cindy: So I thought, yeah, that's incredible. And I guess it just goes to show, like, the power of food. Andrew: We say it now, after the fact we say it makes sense. But it's really something to be mindful of and, I think, for medical practitioners to open up their minds to. You know, they think, "Ah, no, it can't be food." Yes, it can! Cindy: It absolutely can, yeah. And something as small as a cup of coffee. It doesn't have to be a whole meal, or it doesn't have to be a supplement. Or, you know, it can be something as simple as that, and it can have such a dramatic effect. Andrew: Cindy, thank you so much for taking us through your story. Like, it's obviously quite a convoluted one. I think we've only touched the tip of the iceberg into what you've gone through as a mother and a carer, and, indeed, a practitioner, in managing your kids and your husband through Hashimoto's. But I would urge our listeners to get a hold of your book, "Help! My Child Has Hashimoto's," to alert them to the fact that it's not just adults that get this condition, it can be kids as well. And that it needs, you know, specific, sensitive management. So, thank you so much for taking us through those aspects today. Cindy: Oh, thank you so much for having me. And yeah, I'm always trying to get the word out. Just always keep it in mind when you're dealing with kids. Because it's out there, and it's a lot more common than we realise. So, I think that if we as practitioners can be a little bit more mindful of it, we'll probably pick it up a bit more often. And honestly, it can be life-changing for these kids once you know that that's what you're dealing with. Andrew: Well said. This is FX Medicine, I'm Andrew Whitfield-Cook.